I am pre-selling my first monograph through Kickstarter: Singular Beauty (Summer 2012) The book is being designed and published by Hans Gremmen, co-founder of Fw:, a platform for Dutch Contemporary Photography. If you pre-buy the book through Kickstarter (for a pledge of $45 +) you will receive your book delivered before it is available to the general public. 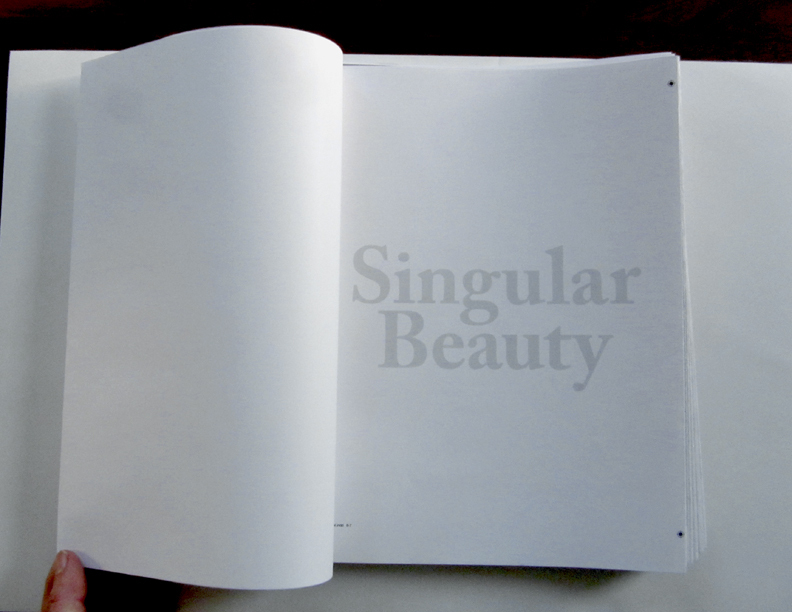 And every single person who supports Singular Beauty will have their name listed in the final publication. Read more about other rewards and the book on my project page. Kickstarter is an ALL or NOTHING funding model and I only have until Jan. 20th, 2012 too make a big goal. I know things are tough out there for a lot of us, so whether you can spare $1, $5, $25, $45 or $500, every pledge helps! There are rewards for every amount. If you feel comfortable, please share this link with anyone you think might be interested.